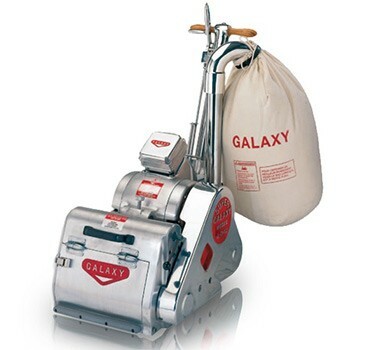 The Galaxy B D 12 sanding machine is a prime example of the innovative creativity and engineering that Galaxy consistently delivers. The B D 12 is a state of the art floor sanding machine that combines both a patented belt sander and drum sander in one machine. Having the flexibility of using either sanding option, allows you the ability to aggressively tackle difficult projects with a drum sander while using a belt sander for precision. At Galaxy, we have designed the B D 12 recognizing that you need the freedom of customizing each project to the specific needs that are required. Whether you need to increase production or ensure the finest finish, the B D 12 is the perfect tool to ensure the best possible results.